The agreement between CiU and ERC (the parties in the Catalan government and opposition, respectively) has permitted the start of the new term, the tenth Parliament, that will be completely different from the previous terms. The 135 representatives in the Catalan Parliament will have to face the term of freedom, so to speak. 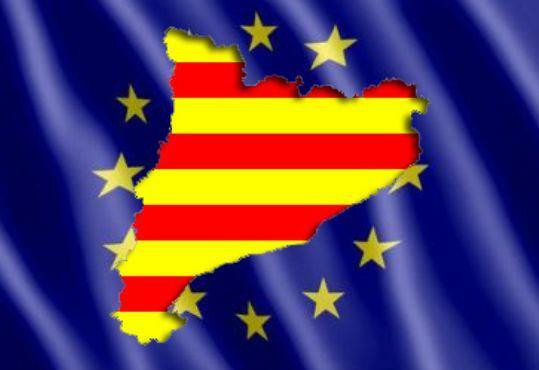 First of all because, no matter what the Spanish and Catalan conservative media say, the parties in favour of the right to self-determination won the elections held on 25th of November. If in 1980, when the Catalan autonomy was devolved, the predominant axis was the right/left, in 2012 the prevailing axis, despite the irrefutable economic and financial crisis that’s sinking the country, is the National axis. Very likely this crisis has been the factor that has intensified and accelerated the demand for sovereignty of a vast majority of Catalans. The Catalan Parliament is divided, as was seen at the investiture of the President of Catalonia, Artur Mas, in two different blocks (with all the shades we might imagine). On one wing there are the 87 representatives in favour of the right to decide (corresponding to the sum of CiU, ERC, ICV–EUiA and CUP representatives), and on the other side 28 unionists (PP and C’s). In the middle is the Socialist Party (PSC), struggling between it’s pro-Catalan roots and the need to satisfy the Jacobin demands of the Spanish Socialist Party (PSOE). Today’s Catalans doubt less than their politicians. According to the survey by the Cabinet of Social Studies and Public Opinion (GESOP), the majority of Catalans (60%) agree with the approval of a declaration of sovereignty by the Catalan Parliament. 69% of respondents want a referendum to be called. In the case the Spanish Government maintains its rejection of the ballot, 62,9% of the respondents maintain that a referendum should be a called anyway. It looks like the people are determined and want to be consulted. What I mean is we shouldn’t be so frightened by the outcry from the powers of the Spanish state and mass media. In the end, the struggle for freedom has always been difficult. There may be people in Catalonia who will get cold feet because of the pressure. We will have to help them so they can resist. Because sovereignty is a necessity —in this respect both moderate and radical parties agree— to ensure the survival of the well-being of the Catalans. Many obstacles will have to be overcome during this term of freedom, the first of which is the debate to be held this Wednesday in the Catalan Parliament. In the voting of the declaration of sovereignty that will be submitted in the chamber, every group will have to make clear that they will put aside poor politics in order to support the majority that demanded Catalonia’s own state last September 11. We need to hold a referendum and we need to do it legally, but without foregoing what is essential: we are a nation and we have the right to decide.